According to Judge Richard Niess, extraordinary sessions are not allowed by Wisconsin’s state constitution and, thus, any laws passed during the extraordinary session in December 2017 are invalid. Judge Niess announced his ruling on March 21. By March 28, things had changed again as the 3rd Circuit Court of Appeals stayed his ruling, allowing the Republicans time to appeal Niess’ ruling. Sore Losers or Too Much Power? In November 2017, Tony Evers, a Democrat, was elected the new Governor of Wisconsin. Additionally, Josh Kaul, also a Democrat, was elected the new Attorney General. This was the first time in eight years that Wisconsin would be under the leadership of a Democratic Governor, and the legislature quickly seized upon its opportunity to pass laws during Republic Governor Scott Walker’s lame duck session. Democratic Assembly Minority Leader Gordon Hintz called the legislators “sore losers,” and argued they simply did not want to give up power. Proponents of the legislator’s efforts argue that too much power had been granted to the executive branch in the State of Wisconsin and that the legislature was simply trying to protect the institution. 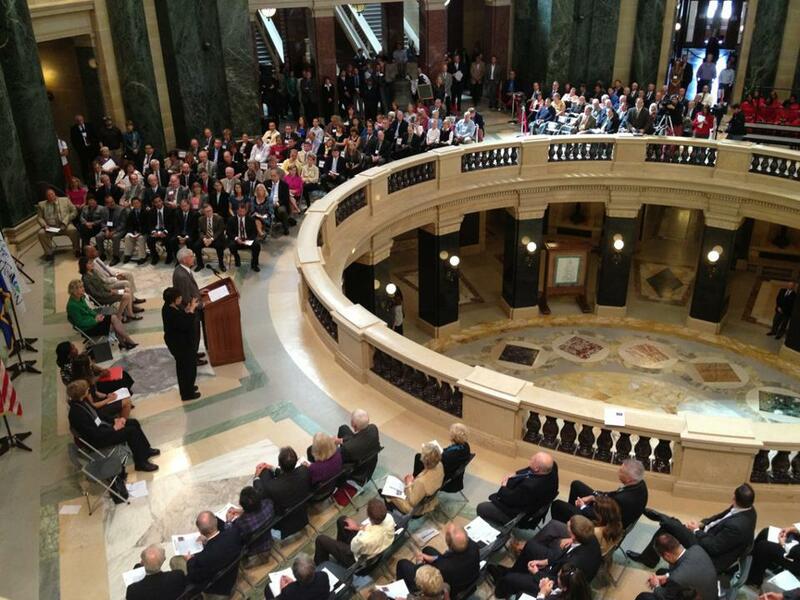 The Wisconsin legislature convened an extraordinary session and passed a number of laws and confirmed 82 of Governor Walker’s appointees before he would be ousted from his governorship in January 2019. Among the laws the legislature passed during the extraordinary session was one that changed Wisconsin’s early voting laws, allowing for early voting to only take place 2 weeks prior to Election Day. Additionally, it imposed a requirement that student IDs have an expiration date more than two years out if they were to be used as identification at the voting polls. That particular law was struck down quickly by a federal judge in January and is now awaiting appeal. Judge Neiss’ ruling addressed the remaining laws passed during the extraordinary session, including a requirement that the attorney general obtain permission from a legislative committee before withdrawing the State of Wisconsin from any federal lawsuits or before settling any lawsuits. This law seemed to be the legislature’s attempt to prevent the newly elected Democratic Attorney General from pulling out of a lawsuit that sought to overturn the Affordable Care Act. Josh Kaul and Tony Evers both had campaigned on the issue, stating their disagreement with Wisconsin’s involvement in the lawsuit, and the legislature now stripped them of their power to follow through on their campaign promise to remove Wisconsin from the suit. Another issue is Governor Walker’s last minute appointees. The legislature was quick to confirm 82 appointees nominated by Governor Walker during the extraordinary session. Most were appointed to small boards and councils throughout the state, but Democrats argued it was just another attempt by the Republican-led legislature to limit Governor-elect Evers’ leadership powers. After Judge Niess issued his ruling, Governor Evers fired the 82 appointees, but just one week later, after the 3rd Circuit Court of Appeal issued their stay on Neiss’ ruling, 67 of the 82 had their jobs back. The power struggle between the Republican-led legislature and the newly elected Democrat Governor and Attorney General in the State of Wisconsin is not unique. Michigan and North Carolina legislatures have both made similar attempts to resist the voters’ choices in government.